Just $9.95/month-that’s over 30% off-plus a $10 Amazon.com Credit. Cancel anytime. Must be a verified United States student to access the discounted rate of $9.95/mo. 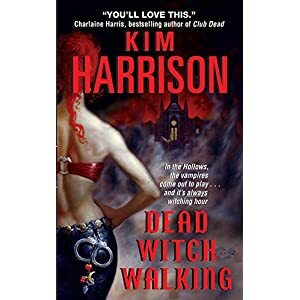 EXISTING AUDIBLE MEMBER? Cancel your current membership plan first. Check out the FAQ’s below for special instructions. I’m a current Audible member and a college/university student. Can I sign up for this offer? Yes! Just follow these three steps: (1) Click here and follow the instructions to cancel your current membership plan(select "Other Reason" and write "UniDAYS" in the text box); and (2) come back to Audible.com/students and follow the instructions to verify your current student status; (3) redeem your unique code provided by UNiDAYS and start enjoying Audible! You can always contact our Customer Service if you have any questions. This offer is $9.95/mo for 12 months, what happens after that? You will receive an email from us to reconfirm your student status and renew your student membership prior to your one-year anniversary with Audible. If you’re still a qualified student, you will be provided with instructions on how to renew your special student offer. If you do not reconfirm your status and/or are no longer a qualified student, your subscription will renew at our standard Audible Gold membership rate (currently $14.95). Of course, you can cancel anytime here. What if I want to take a break from Audible, do I cancel my membership? Why cancel your membership and lose your credits when you can pause it! You won’t be billed during this time. Go here and follow the instructions. Note you can pause your membership once every 12 months for a duration up to three months. How many times can I redeem this offer? This offer can only be redeemed once. For this reason, check out our hiatus offer. How does the $10 Amazon.com credit work? Within 72 hours you will receive a $10 electronic Amazon.com Promotional Credit via Email. The Amazon.com Promotional Credit only applies to products sold by Amazon.com (look for [sold by Amazon.com] on the product detail page.) Products sold by third-party sellers or other Amazon entities will not qualify for purchase by the Amazon Promotional Credit, even if [fulfilled by Amazon.com] or [Prime Eligible]. Shipping charges and taxes may apply to the full value of discounted items in your order. If any of the products related to this offer are returned, your refund will equal the amount you paid for the product, subject to applicable refund policies. *Offer is available for a limited time. Offer good for a discounted Audible student membership priced at $9.95/mo as well as a $10 Amazon.com promotional credit upon successful sign-up. To sign up for the discounted Audible student membership, you must: 1) have an Audible account; 2) be a college student actively enrolled in at least one course at a college geographically located in one of the 50 United States or the District of Columbia; and 3) be able to provide proof of enrollment and pass a verification process confirming your enrollment. Offer applies only to an Audible monthly membership sold by audible.com. You will be charged the discounted price of $9.95/mo for a period of 12 months after you are verified. You may cancel anytime by visiting your Account Details page. Within 30 days of the end of the 12 month period, you will be required to re-verify that you still meet the above requirements in order to continue to receive the discounted student rate for another 12 month period. If you are not able to re-verify that you meet the above requirements your membership will instead renew into a standard Audible Gold monthly membership at then current rates (currently $14.95/mo) unless cancelled. You may only receive the discounted student rate for a maximum of 4 years and at the end of the fourth year your Audible membership will renew into a standard Audible Gold monthly membership at the then current rates (currently $14.95/mo) unless cancelled. From time to time, we may choose in our sole discretion to add or remove the discounted Audible student membership offering and if we do so you will be notified and at the end of your current 12 month period your discounted student membership will renew into a standard Audible Gold monthly membership at the then current rates (currently $14.95/mo) unless cancelled. After you have successfully signed up for the discounted Audible student membership and your account is verified you will receive an email notifying you that have received a $10 Amazon.com promotional credit in your associated Amazon account. The Amazon credit will expire 90 days after it is deposited in your account. The Amazon promotional credit does not apply to digital content. The Amazon promotional credit only applies to products sold by Amazon.com (look for "sold by Amazon.com" on the product detail page.) Products sold by third-party sellers or other Amazon entities will not qualify for purchase by the Amazon credit, even if "fulfilled by Amazon.com" or "Prime Eligible". Shipping charges and taxes may apply to the full value of discounted items in your order. If any of the products related to this offer are returned, your refund will equal the amount you paid for the product, subject to applicable refund policies. Unless an Amazon Gift Card is the stated benefit of the promotion, promotional codes or credits (including those placed directly in accounts) may not be redeemed for Amazon Gift Cards. Offer limited to one per customer and account, may not be combined with other offers, is non-transferable and may not be resold. Audible reserves the right to modify or cancel the offer at any time. If you violate any of these terms, the offer will be invalid. 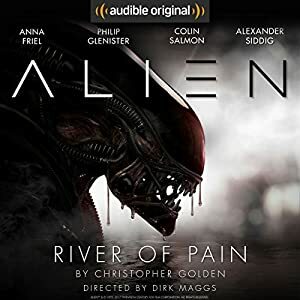 Today’s daily deal is Children of Time by Adrian Tchaikovsky [audible.com]. 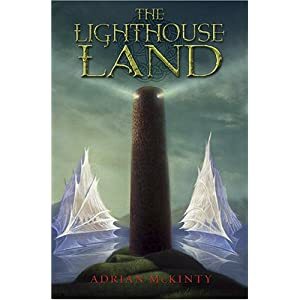 This is a great sci-fi book! Audible.com is running their annual promotion for new members, which is $50 off the regular price of $149.50 and you get all 12 of book your credits up front to binge listen to all of the books on your must-read list! I’ve been waiting for this deal to run. It’s for all non-members and it auto-renews to $149.50 after one year. You can cancel at anytime, but would only be refunded for any unused book credits. Audible is running a deal where you will receive a $5 coupon when you preorder ANY book. The pre-order price for this book is only $1.59, so you will make a few bucks. 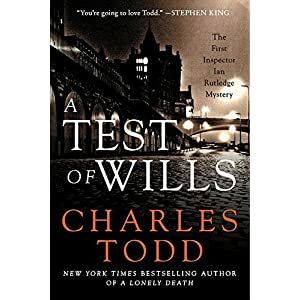 This is a book that is only $1.35, but it’s a German book, and the T&C say that the offer is not valid from any other seller, including audible.co.uk. It should be fine, but I just ordered the first book. 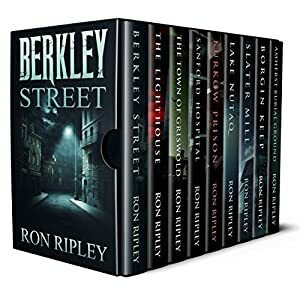 Promotion available to Audible members only. Eligible customers who pre-order a book between May 13, 2018 and May 18, 2018will receive a $5 coupon. Pre-order must not be cancelled prior to May 18. 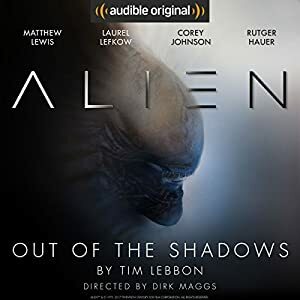 Promotion applies only to audio products sold by audible.com. The same items sold by other sellers (e.g., audible.co.uk) do not qualify. Coupons cannot be resold, transferred for value, redeemed for cash or applied to any other Audible account, except where required by law. Promotion may not be combined with other offers. An Audible account is required to be eligible for this promotion. Limit one reward per customer. Your coupon for $5 will be sent through a link in a separate email no later than May 24 and will be applied to non-credit purchases of audio products upon checkout. The $5 coupon will be redeemable until June 23 and will expire 30 days after redemption. Other terms and conditions apply, including those available here. If you violate any of the terms or conditions, the promotion will be invalid, and the offer will not apply. Audible reserves the right to modify or cancel at any time. Void where prohibited. Audible is having a 2-for-1 sale when you use a credit. 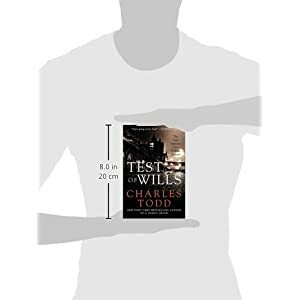 This has been posted before but I’ve created this post to show the most rated books across the whole sale. Apart from classics (Dickens/Verne) this sale also has a lot of good scifi from Asimov/Heinlein, I put that below. Once you have Kindle Unlimited, you can PURCHASE the Audible Audiobook versions at a reduced price. This will let you keep them even after you have cancelled your Kindle Unlimited package. Casino Royale [amazon.com] – should be $3.50 but apparently it’s free if you follow the directions… the next few Bond’s are priced correctly though. Comment if the same glitch happens with any other books, I haven’t checked them all. Audible.com is having their Spring Cleaning Sale, for members only, an additional 30% off, which equals 50% off retail. Some are pretty good deals. 12 credits for $99 is $5/mo cheaper than the regular monthly price, 33% off. You can parlay the Echo credit into a free Echo Dot, $35 Echo, $99 Echo Plus, $79 Echo Spot, or $149 Echo Show. YOUR ONE YEAR AUDIBLE MEMBERSHIP IS NONREFUNDABLE WITH THIS OFFER. After the first year, this annual membership will automatically renew annually at the regular price of $149.50. You can cancel any time prior to the end of an annual membership year and you will not be charged thereafter. After you purchase the $99.50 discounted annual membership and your payment is verified, a $50 credit will be applied to your Amazon account. The credit will be applied to the Amazon account that you used to sign up for the Audible membership. You must use the credit within 3 months of receiving it. The credit is valid to use on the following Echo devices: Echo Dot, Echo, Echo Plus, Echo Spot, Echo Show. The offer is valid for new devices only. The credit can only be applied once, and used for a single device. If you purchase an Echo device at a discount, the $50 credit will still be applied in full if the cost of the device is greater than $50. If the cost of the device is less than $50, you will not receive additional credit in your account. Once you have received your $50 credit, you forfeit your right to get a refund on the annual Audible membership or to get any further discount on an Echo device you have already purchased. 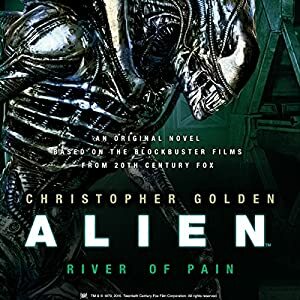 Audiobook Alien: River of Pain $1.95 @ Audible Full cast audio dramatization of "Aliens"
Got an email from Audible that there is a first book in a series sale going on until 2/25. Picked up Outlander for $6.95 and the first book in the Iron Druid Chronicles for $4.95. That’s as far as I got but there are probably a lot of good titles to be had rather than using credits. 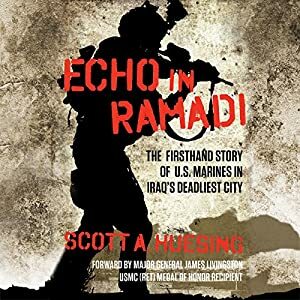 Was able to purchase this audiobook at $4.95 plus tax. Regular price was $21 or one credit. 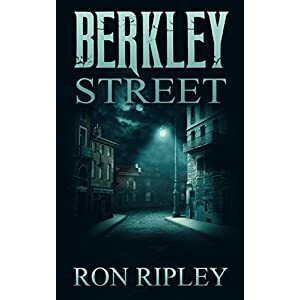 Pretty high rated Sci-Fi book if you’re into the genre. Audible has some great promotions right now. However, by combining the 3 for free with Camperxl’s deal (2 for 1) you can have 6 books for free. Make sure to set a reminder to cancel if you do not want to renew.